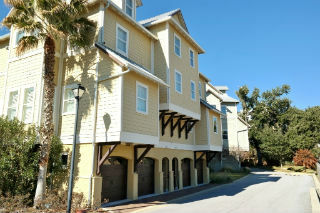 For those looking to live in a boater's paradise, check out The Grander townhomes in Orange Beach. 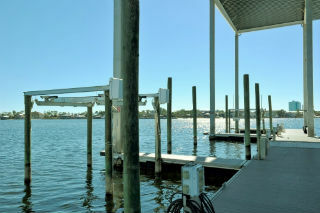 Located bayfront on Terry Cove, The Grander is a fabulous gated marina community that's right on the water. Each unit comes with a private, covered boat slip with lift that's located within the upscale complex. See the listings below to view all Grander Townhomes, or read more about The Grander townhomes for sale. You'll quickly find The Grander Townhomes have all you need to live a great lifestyle. Townhomes feature 3 bedrooms, with 3.5 baths. Each unit is approximately 2,400 sq. ft. with elevator and 2.5 car garage with a storage area. In addition, these fine homes feature granite counter tops, stainless steel appliances and 'tankless' hot water heaters. Just call it maintenance-free living at its finest in beautiful Orange Beach and you're only minutes to the open water. For those living in the Orange Beach area, life is good! The expansive Gulf State Park is right on the doorstep, where families can explore the area's wilderness and wildlife and enjoy nature, while golfers can enjoy the facilities at Orange Beach Golf Center and a host of other nearby courses. The Grander is close to several great restaurants, shops and The Wharf is six minutes away! Orange Beach, located on the southeast coast of Alabama, is home to about 4,000 residents. The population grows considerably throughout the summer as thousands of fun-seeking vacationers head to the area and take advantage of the city's wonderful beaches, fishing and entertainment options. To learn more about The Grander condos for sale, please contact the Gatti Team. We have a created a video to show people the fabulous Grander and give viewers an inside look at one of Orange Beach's best marina complexes!